His name was Kamal Punja – half Indian, half African. He was born in a town south of Dar es Salaam, in Tanzania on the east coast of Africa. His father, the Indian, deserted him as a baby to return to India. His mother brought him up with a close friend who had a daughter called Saida. Kamal and Saida became close and lasting friends, in fact he loved her all his life. 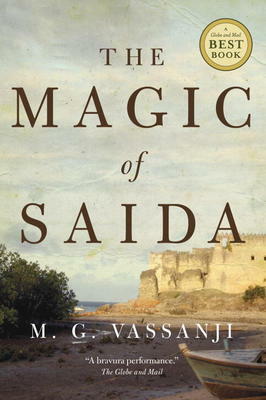 The book gives a good look at many aspects of African life: the changes when the Germans colonized the country; the magic and mystique of Saida’s grandfather, a famous poet. Kamal turned out to be a clever student who went to Makerere University and became a doctor. By this time he had a girlfriend who urged him to accept a position in Canada. They both settled in Edmonton where he was highly successful in medicine, and had two children. The Magic of Saida tells the story of what was missing. He returns to Africa in search of Saida, and early love and memories. The result is tumultuous. With our world turning all colours, in all places, Vassanji gives a riveting picture of what the chopping and changing feels like. He is an Indian himself who now lives in Toronto. He has written six novels, which have won the Giller Prize twice as well as a series of other prizes. This is a concise, well-written account of what it was like to be Canadian Ambassador to Ecuador during three of its most turbulent years. John G. Kneale served in that country from 1998-2001, and kept a daily diary. With him were his wife and two teenaged daughters. The title refers to the volcano that was a constant threat and exploded literally above their heads in 1999. It also refers to the wave of discontent that is rising among the marginalized Indian populations. Like other countries in the region, Ecuador’s economic progress is hobbled by political instability. While he was there, a democratically-elected president was deposed by the army. Seven Canadian oil workers were kidnapped and held for ransom in the jungle. Kneale points out that there is little pressure on our political leaders to deploy our resources to build a safer, more prosperous New World. He also tells of the beauty of the country, and describes the Andes, the Amazon and the magnificent Galapagos Islands. It is altogether an excellent read, combining a picture of Ecuador with an up-close description of an ambassador’s life and challenges. This is the third in Jane Gardam’s trilogy on the personnel of the Hong Kong law courts when they were dominated by the British. Like the others, it is full of far-out snobbery from that long-lost British Empire. But it also has a lot of humour. This book tells the story of Terence Veneering, who ended up working in law with Sir Edward Feathers (Old Filth, i.e. Failed In London Try Hong Kong) in the Malay States, as they were called. His background was wildly un-British, being the son of a Russian acrobat who had an accident while performing in England and was marooned in the northeast part of the country where he married an English girl. The blond son, Terry Venitski, proved to be a brilliant scholar who entered law, changed his name and was assigned to Hong Kong. This book takes these two, plus Old Filth’s wife Betty, through the loves and jealousies of their working years and finally back to England where the two men ended up living in the same village. A lot of jealousies were resolved and they were friends, and home, at last. 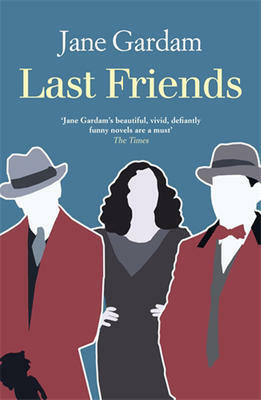 Jane Gardam is one of England’s most distinguished novelists with a stream of prizes to her name. Her intelligence, plus black humour, are a joy to read.